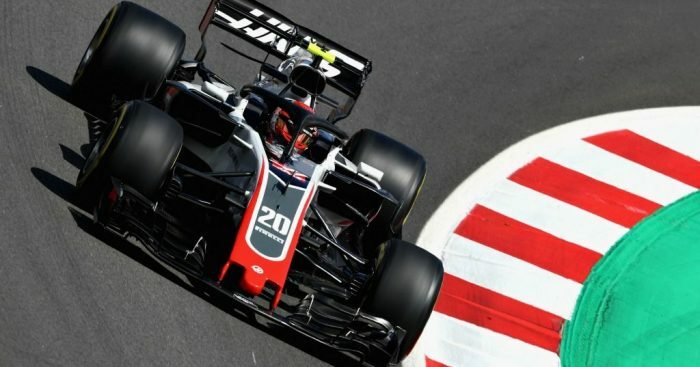 After finishing in P6 in Barcelona, Kevin Magnussen has said that the Haas team can be the fourth best team on the grid at every race. The Dane has now scored points in three of the opening five races, with a high of P5 in Bahrain. Magnussen said: “This is where we should be fighting. This weekend [Spain] we have been very strong, we’ve been the fourth best car and I think we should be somewhere around there every weekend. “We need to make sure we score the points – so it is really nice to get there this weekend,” the Dane added. He had been under pressure after the incident with Pierre Gasly in Baku, which led to the Frenchman calling Magnussen “the most dangerous guy on the grid”. But the Spanish race saw the Haas driver stay out of trouble after starting P7 on the grid, before gaining a place after the retirement of Kimi Raikkonen. Haas are now P6 in the Constructors’ Championship, with 19 points, but remain a further 22 behind Renault, who are currently sitting in P4 as the ‘best of the rest’. The Dane said: “We’re still behind on the points and those guys will be putting new stuff on the car all the time.